Hampton Court Package: Stay at the Warren Lodge or Best Western Ship Hotel and take a tour of one of the most famous landmarks in Britain. The package includes accommodation for two people for one night, a three course dinner, a full English breakfast and Hampton Court entrance tickets for two people. 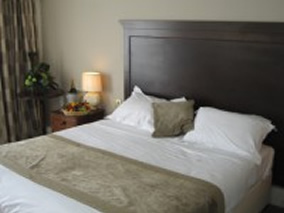 Sunday night’s accommodation and a wonderful full English breakfast on Monday morning to set you up for the day ahead. Includes overnight accommodation, dinner for two people in the Restaurant and a full English breakfast the following morning. 20% discount towards dinner on the second night in either our Restaurant or cosy Bar. Our famous full English breakfast is of course included on both mornings, to get you ready for the day.